Ever feel like there’s not enough time in the day? We’ve all been there. I bet you consider yourself a busy person, but let’s set the record straight- there’s a difference between being busy and getting stuff DONE! Don’t waste time by working inefficiently. The best way to make the most out of your time is to plan, prioritize & delegate! This #MillennialTalk was powered by FIN, an incredible new kind of assistant that combines machine learning technology and humans to create a 24/7 service. *BONUS: To learn more about our fabulous chat sponsor and to redeem your $60 credit to FIN, click HERE! Scroll down for a recap of this weeks Twitter trending chat Q&A! @ChelseaKrost: EMAIL, EMAIL, EMAIL. The amount of time it takes to have a conversation or get your questions answered via email sometimes is enough to drive me to drink. Who’s with me? @BarrettAll: I make time to read every morning, expand my thinking, recognize new dots to connect. But after that I stay off social and email for certain periods so I don’t get stuck in a communication loop and can focus on productivity. @codergirl_: For me, emails, scheduling meetings and phone calls, general/administrative tasks for my company and social media posting and planning. @AndruEdwards: I’ve actually moved a lot of my business communication to text. It’s faster, shorter responses, and people don’t have an expectation that they need to be formal. Efficiency is key for me. @finexploration: Scheduling meetings is very time-consuming, up to 20-30 back and forth messages for just one meeting! Fin can take this work off your back so you’ll have more time to focus on higher impact projects. @ChelseaKrost: Every Monday morning I start my day with Coffee and handwrite a list where I prioritize the week’s to dos & most important items first. On top of a weekly to do list I also make a daily one bc we all know things pop up in real time – ALL THE TIME! @BarrettAll: I start every day and rank my tasks from CRITICAL to IT CAN WAIT. It’s simple but with how we work and communicate now – new items and distractions come from all sides. Be able to assess and traige with the speed of an ER. @codergirl_: I have a pretty strict organization system in a notes app that lets me prioritize tasks for the day, week and month level. I review that and my calendar every morning & evening to prioritize what needs to get done today. Documenting all my tasks in the same place and having a solid prioritization system with due dates helps me get the right things done by the time they are due. @finexploration has been a great tool for task management- I can hand off scheduling meetings/calls and save the time spent with back and forth. @AndruEdwards: My phone is ESSSENTIAL! The easiest way to manage my time daily is to speak tasks to Siri to ask for reminders and create calendar entries. Later, I’ll delegate the things that need to get done, but not by me, to a service like Fin or a remote assistant. Being able to let go of the control and to delegate tasks is tough in the beginning, but it frees up so much time to let you focus on the more important things! @ChelseaKrost: Well, I know that if I keep my email tab open while working on other things it is easier to veer off track & get sucked back into the email black hole. Block scheduling helps to limit the time spent in email. I block off 1-2 hours in the morning for social media. Next 3 hours to calls & answering emails. Then 3-4 hours of doing client/project work. Then finish with 1 last round of emails/social media. @BarrettAll: Email is unavoidable and impossible to plan for. Blocking off time for it isn’t efficient. So try and limit back-and-forth by anticipating each email thread and limiting each thread to two emails tops. @codergirl_: I like to have specific times dedicated to emails. That way I’m not constantly distracted and can still have good in the flow coding moments (I work a full time job as a software engineer!). @AndruEdwards: I’m going back to getting away from email (and long conference calls.) Use group texts or something like Slack. If emailing, keep it super brief. Even when emailing from desktop my signature says “Sent from iPhone” so I can be super brief! Remember, email is someone else deciding to add something on your plate. I don’t obsess about a large inbox – I decide what’s important for me to focus on rather than letting others do it for me. @ChelseaKrost: After my to do list kept growing & growing I finally took a huge step & invested in signing up for @Finexploration, which truly been incredible & has given me back time in my day so that I have more of a work life balance. I was quick to skip the gym, or cooking for my husband, or making plans w/ friends bc I just didn’t have the time & energy, but thanks to @Finexploration I estimate getting back about 6 hours in my work week. Happy to report I did yoga 3 times last week! @BarrettAll: Because I’m lucky enough to run my firm from anywhere, I take full advantage of it. I travel each week and explore a new surrounding. Last week Richmond. This week South Dakota and Colorado Springs. My time should be spent meeting new people/seeing new things. @AndruEdwards:As a dad, I see work/life balance as essential. I work to live, not live to work. So I have a hard stop each day to hang with my family/friends. Even if I need to get back to work several hours later, I put aside a few hours of time for the important people. @ChelseaKrost: I happen to be a bit of a control freak so I totally understand that delegating is sometimes easier said than done yet, you have to be honest with yourself when you know your time is better spent somewhere else. @BarrettAll: Your day should be spent making 3-5 key decisions. Anything else can and should be delegated. Work smarter, not harder and stick to your expertise. @AndruEdwards: As time has gone on, I’ve realized that you can delegate almost anything. If you MUST see it to sign off on it, you can – but someone else can actually do the bulk of the work. One tip is to break tasks down and delegate even portions of them so you have help. @finexploration: When a task is high impact, high priority do it yourself. When it’s low impact, high priority, delegate it. Your time is valuable. Focus on what matters most and delegate the rest. Fin schedules time every Monday morning to sit down and write out all the important tasks and meetings for the week. Our weekly one-on-ones will help you decide what tasks to delegate and how to be more productive. @BarrettAll: Slack is my favorite time saver. @typeform is sneaky good for efficiently onboarding clients and avoiding meetings. No one likes meetings. @AndruEdwards: I love apps like Reminders, Trello, OmniFocus, and 1Password for productivity, along with services like Fiverr, Fin, and UpWork! @finexploration: We love our new NotaBene app. It’s designed to be the fastest way to record your thoughts, todos, and follow-ups when you’re on the go. @ChelseaKrost: Since expanding my coaching services I’m booking more Discovery Calls than ever. Booking calls & collecting information from people can take so much time. I’ve automated my Discovery Call bookings with @Jotform @Calendly & @infusionsoft & it’s life changing. 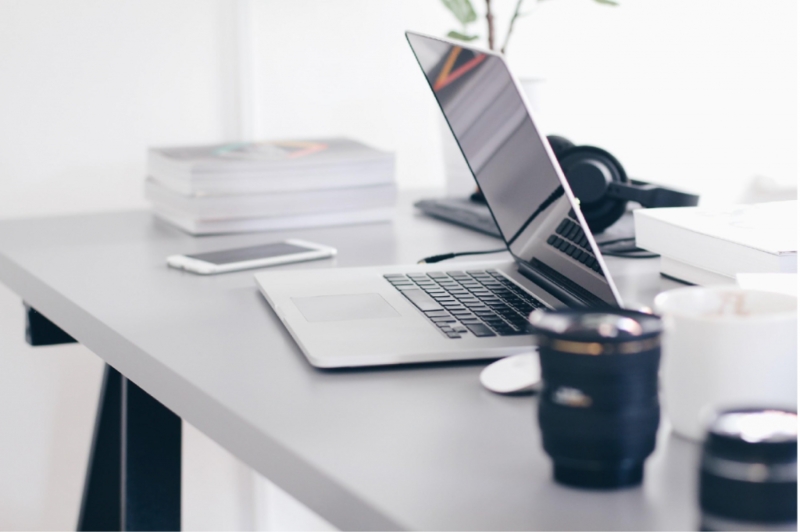 Take the time to at least explore where you can automate certain aspects of your business to not only save you time but to give you piece of mind. @AndruEdwards: I take advantage of syncing folders with Dropbox to drag and drop and auto-deliver media to those I delegate to. I also have workflows set up to auto-transcode and batch process photos and videos so I don’t have to do it manually! @finexploration: Our customer @Hydroslife saves 20 hours per week using Fin because we combine humans and machine learning technology to provide a more efficient and quality personal assistance service. We have embraced automation but we also know how important it is to keep that personal touch, which is why we have combined machine learning technology and humans to provide a 24/7 quality personal assistant service. @ChelseaKrost: After working with MANY entrepreneurs over the past few years I see a common thread. We tend to over think things, which can end up mentally draining you & your time. Stress less and be more productive by putting systems in place, preparing better, learning more, and taking action! Make more time to think about the big picture. Make more time for yourself or your family. Do less of everything else. @codergirl_: Automate as much of the minute things you do not enjoy! Invest in your health and wellness. That way you will have more energy to invest in the tasks that are left. @AndruEdwards: Less meetings. Less conference calls. More trust when delegating, letting people own projects. @finexploration: A critical habit of a good productivity system is the time that you spend staying in control. Allocating time slots for deep work and letting go of the menial tasks. @ChelseaKrost: Just because one method or tool worked well for someone else doesn’t mean it will work for you. TRULY carve out a day, a week, or a month to find what works for you & create the procedure, template, or system to streamline your efforts & time. Create content in bulk to save you time day to day. Find the right content management tool like @Hootsuite to schedule posts & track your social media metrics. AND MOST IMPORTANTLY, Stop wasting time trying to please everyone because you never will! Stay true to yourself and true to what you have to offer. If someone doesn’t like it then your simply not the right fit. @codergirl_: I think it’s all about understanding yourself & again automating as much as you can. Making sure I’m rested & exercising. Knowing what times Im focused, giving myself breaks & not getting burned out + automating as much as I can so I can focus on the important stuff. 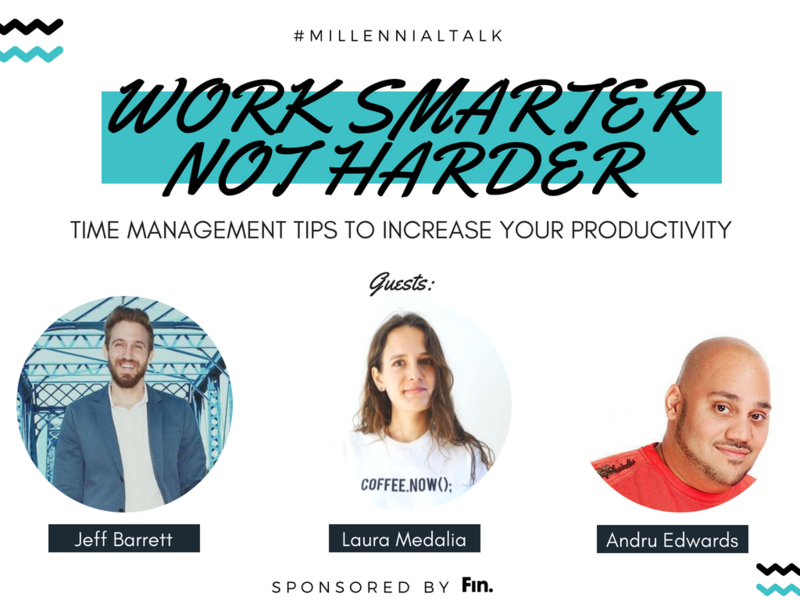 @AndruEdwards:The easiest way to work smarter is to figure out what REALLY matters. It’s easy to think that everything matters, but there’s a law of diminishing returns. Delegate tasks so you can focus on the really important stuff. Reminder, redeem your $60 credit to FIN, click HERE! You may feel like you’ve mastered the art of prioritizing your time, but there is always room for growth. If you’re ready to turn your small business into something big, click here for tips and tricks on How To Develop a Growth Strategy For Your Small Business. Join Me For A Greek Getaway Of A Lifetime This Summer! Join Now and Receive My Guide, “7 Ways to Increase Your Business Visibility, Influence, and Profits.” Building a disruptive brand isn’t easy, but it’s more important than ever before.